This past weekend we attended a murder mystery dinner with some friends from our ward. 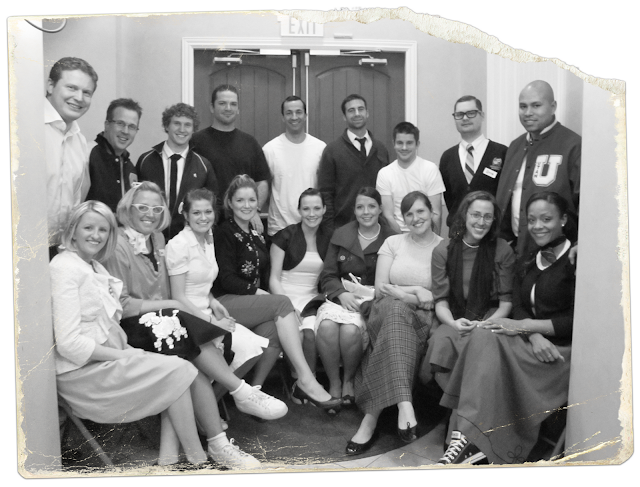 The theme was "1957 High School Reunion" so we all dressed up in 50's attire and had such a great time. Mike played Peter, the retired high school principle and I played his not-so-lovely wife Paula, the head of the science department. 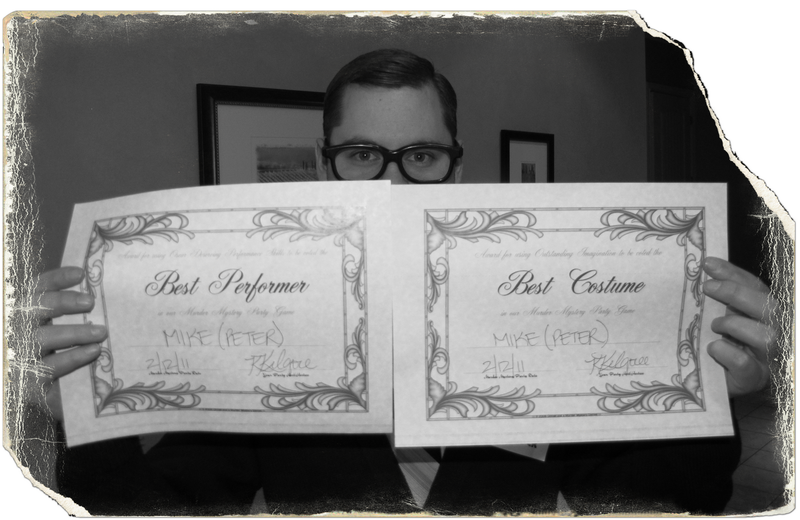 Mike was hilarious (of course) and played his part so well. Laughing hysterically at him throughout the party reminded me why I love him so much--because he's everything I'm not. He ended up getting voted by everyone as the best performer AND for having the best costume.